Matamela Cyril Ramaphosa (born 17 November 1952) is a South African politician. He is the fifth and current President of South Africa, following the resignation of Jacob Zuma on Wednesday February having taken office following a vote of the National Assembly on Thursday February 15 2018. Ramaphosa was previously an anti-apartheid activist, trade union leader and businessman. He has been the Deputy President of South Africa since 2014. He was elected as President of the African National Congress (ANC) at the ANC National Conference in Nasrec, South of Johannesburg in December 2017. Ramaphosa is respected as a skillful negotiator and strategist who acted as the ANC’s Chief Negotiator during South Africa’s transition to democracy. Ramaphosa built up the biggest and most powerful trade union in South Africa—the National Union of Mineworkers (NUM). He played a crucial role, with Roelf Meyer of the National Party, during the negotiations to bring about a peaceful end to apartheid and steer the country towards its first fully democratic elections in April 1994. Ramaphosa was Nelson Mandela’s choice for future president. Today, Cyril Ramaphosa is well known as a prominent businessman and has an estimated net worth of over $450 million with 31 properties and previously held notable ownership in companies such as McDonald’s South Africa, chairperson of board for MTN and member of the board for Lonmin. In spite of his credentials as an important proponent of South Africa’s peaceful transition to democracy, he has also been widely criticised for the conduct of his business interests although he has never been indicted for illegal activity in any of these controversies. Controversial business dealings include acting as Chairperson for the MTN Group during the MTN Irancell scandal when a disgruntled former employee, Mr Chris Kilowan, alleged that the organisation had bribed officials in Iran. However, the Hoffmann Commission’s finding concluded: “The committee exonerated MTN and found that Mr Kilowan who had given two statements in arbitration proceedings brought by Turkcell against the Islamic Republic of Iran and a deposition in the United States proceedings against MTN was in the words of the committee ‘shown to be a fantasist and a conspiracy theorist’. He was also fingered in the scandal that involved his joint venture with Glencore and allegations of benefitting illegally from coal deals with Eskom which he has staunchly denied, during which Glencore was in the public spotlight for its tendentious business activities involving Tony Blair in the Middle East; and his employment on the board of directors of Lonmin while taking an active stance when the Marikana Massacre took place on Lonmin’s Marikana premises. On 15 August 2012 he called for action against the Marikana miners’ strike, which he called “dastardly criminal” conduct. He later admitted and regretted his involvement in the act and said that it could have been avoided if contingency plans had been made prior to the labour strike. A member of the Venda tribe, Ramaphosa was born in Soweto, Johannesburg, on 17 November 1952. He is the second of the three children of Erdmuth and Samuel Ramaphosa, a retired policeman. He grew up in Soweto, attending Tshilidzi Primary School and Sekano Ntoane High School there. In 1971, he matriculated from Mphaphuli High School in Sibasa, Venda. He subsequently registered to study Law at the University of the North (Turfloop) in 1972. 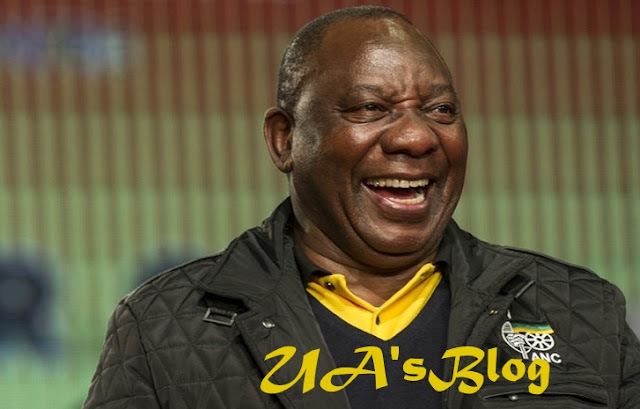 While at university, Ramaphosa became involved in student politics and joined the South African Students Organisation (SASO) and the Black People’s Convention (BPC). This resulted in him being detained in solitary confinement for eleven months in 1974 under Section 6 of the Terrorism Act, for organising pro- Frelimo rallies. In 1976 he was detained again, following the unrest in Soweto, and held for six months at John Vorster Square under the Terrorism Act. After his release, he became a Law Clerk for a Johannesburg firm of attorneys and continued with his legal studies through correspondence with the University of South Africa (UNISA), where he obtained his B. Proc. Degree in 1981.